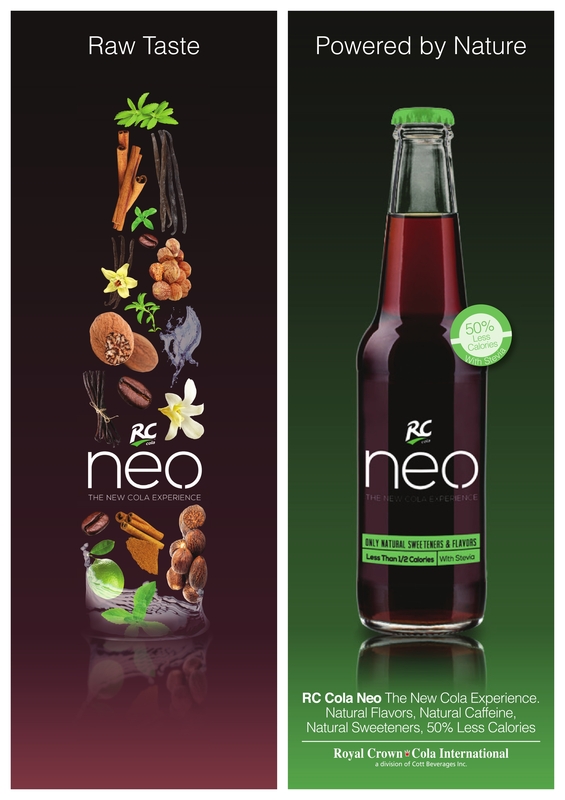 RC Cola Neo is a direct answer to two converging trends: consumers worldwide have embraced their desires for uncompromised flavor experiences while simultaneously becoming more health-conscious and more inclined toward products with only natural ingredients. The resulting demand for full-flavor, low-calorie beverages has led to the popularity of ingredients like stevia; which is significantly lower in calories, yet is derived from a plant, unlike artificial sweeteners. RC Cola Neo combines the calorie-reducing advantages of stevia with the classic sweetness of cane sugar. 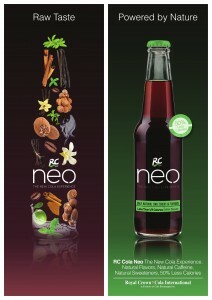 The development team behind RC Cola Neo worked for the better part of three years to craft the unique flavor profile found in the product. Traditionally, stevia has presented a challenge for beverage makers, with a mouth feel and highly specific flavoring that can be difficult to integrate into a cohesive product aimed for mass consumption. RCCI was able to harness more than a century of beverage innovation experience during the development of RC Cola Neo in order to ensure success in the highly competitive mid-calorie cola market, seen as a ‘holy grail’ by many across the industry. To help bottlers capitalize on the demand for full-flavor, low-calorie beverages, RCCI provides a wide range of resources to assist in bringing RC Neo to market, including guidance on plant design, R&D, quality assurance, testing and marketing capabilities. These offerings assist the bottler in delivering a high-quality beverage from start to finish.